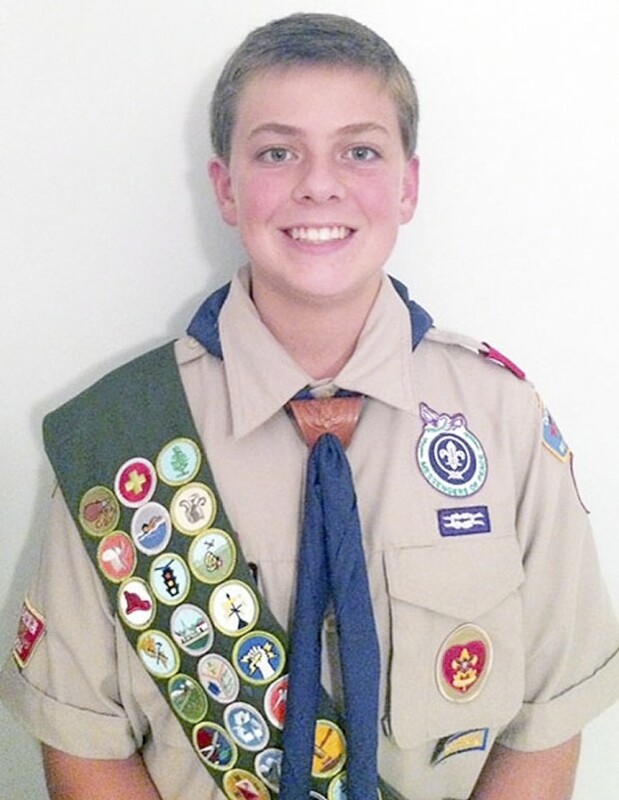 James Adam Drye, 15, will receive his Eagle Scout Award on Sunday, Oct. 11, 2015, at First Presbyterian Church of Salisbury. Adam began his Scouting career as a Tiger Cub in Pack 443 in the Fall of 2006. As a Cub Scout, Adam earned the God and Me, God and Family and the Cub Scouts’ highest award, the Arrow of Light. As a Boy Scout, Adam earned 35 Merit Badges including the Messengers of Peace award. He has served in several leadership roles in his troop including Senior Patrol Leader. Adam completed 10 days with the Central North Carolina Council at the 2013 National Boy Scout Jamboree at the Summit Bechtel Reserve in Mount Hope, W.Va. He attended summer camps at Camp John J. Barnhardt and Camp Daniel Boone. Adam has backpacked in South Mountain State Park, Wilson Creek Wilderness, Uwharrie Trail (20-Miler) and the mountain to sea trail system. This past summer Adam attended Philmont Scout Ranch in New Mexico, the Boy Scout’s premier high adventure camp. He and his crew hiked 113 miles over 11 days on trails that climbed from 6,500 feet elevation to as high as 12,445. For his Eagle Scout service project, Adam planned and led a group of scouts and volunteers in more than 191 service hours. The project included installing a brick paver sidewalk leading to the cafeteria at Salisbury High School as well as landscaping the area in front of the football stadium. A Sophomore at Salisbury High School, Adam is a member of the football, swimming, and tennis teams. He is also a member of the Crosby Scholars. Adam is an active member of First Presbyterian Church, where he is involved in the youth group, Teens with a Mission and serves as an Acolyte. He is the son of John and Lesleigh Drye.